Clean and clear windows are of paramount importance to anyone with business premises wanting to project a positive image. At Spotless Window Cleaning we understand the importance the image that your company projects to clients and staff alike which is why we take extra special care when visiting our commercial clients. We carry out full risk assessments prior to commencement of work to highlight any potential hazards, and we implement appropriate control measures in order to reduce the risk of accidents. We have a one hundred percent safety record, and with our stringent risk assessment procedures it is no wonder. We always aim to Arrive at a time convenient for you, and keep any disruption to your business to a minimum. All of our professionals are uniformed, and we have sign written vans, in order to project and reflect your professional image onto your clients and staff alike. We have the latest technology in cleaning windows, and safety is paramount. We use a water fed pole system for cleaning your external windows. This enables us to clean windows up to 70 feet from the relative safety of the ground. For internal windows we use traditional window cleaning methods. For high level internal window cleaning we use telescopic poles where needed, and again, this method is used when windows are at a great height to reduce the risk of accidents. We have multiple options for external high level window cleaning, such as the use of cherry pickers and rope access equipment. Rope access window cleaning, also known as abseiling, is an extremely flexible method of cleaning hard to reach windows where access cannot be gained in any other way. 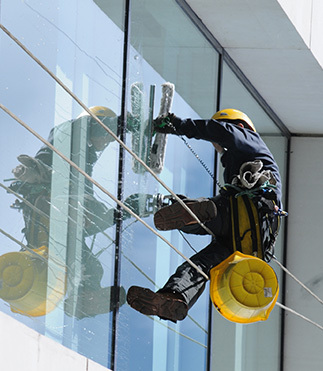 Rope access window cleaning has an excellent safety record in the UK, and is one of the most flexible and cost effective window cleaning solutions available. Our specialists are fully trained and qualified by IRATA (international Rope Access Trade Association) and projects will always be planned and carried out in accordance with full safe systems of work, and back up systems for one hundred percent redundancy. What kind of service will you receive from us? Recommendation – monthly (your windows will be clean all of the time). 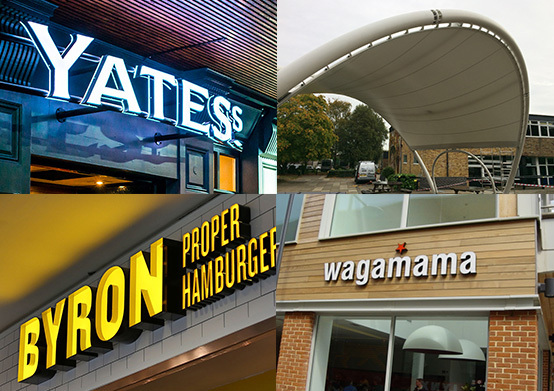 Why not head over to our Case Studies page to see what we do?